The past week since the election of Donald Trump as the next U.S. president has been a tough one for investors in bonds and dividend-paying equities. After the Nov. 8 election, bond yields rose, Treasuries endured stiff selling and dividend-paying utilities, real estate investment trusts (REITs) and telecommunications stocks fell. Dividend-paying stocks in general took a hit in the markets in the days after the election but offered investors a glimmer of hope by regaining a bit of ground this week. A key reason why bonds and dividend-paying equities are under pressure is the expected rise in interest rates. If the Trump administration ushers in deficit spending, pressure could mount for rates to climb yet further, said Andrew McCormick, head of Baltimore-based T. Rowe Price’s U.S. taxable bond team. Expect volatility in bonds, with the market reacting in a “saw-tooth” pattern, McCormick said. Indeed, downward pressure could be applied to U.S. interest rates if investors buy U.S. Treasuries to “flee riskier assets,” he added. “Bond markets globally are likely to see upward pressure on yields over the long term, with a steepening of the yield curve,” said Quentin Fitzsimmons, T. Rowe Price’s global bond manager. At greatest risk will be emerging markets, such as Mexico, which already have lost ground since Trump’s election, Fitzsimmons said. Nicholas Vardy, editor of The Alpha Investor Letter, pointed out that both the Mexican stock market and the Mexican peso have been closely (and inversely) correlated to Donald Trump’s election prospects during this election cycle. In fact, the Brookings Institution forecasted a 25% drop in the value of the Mexican peso due to Trump’s election. In the United States, the 10-year Treasury-note is paying a rate of 2.21% and incurring technical resistance levels not seen since last December, said Bryan Perry, the editor of the Cash Machine investment newsletter. A rise in bond yields has been a bullish development for many rate-sensitive high-yield assets, he added. 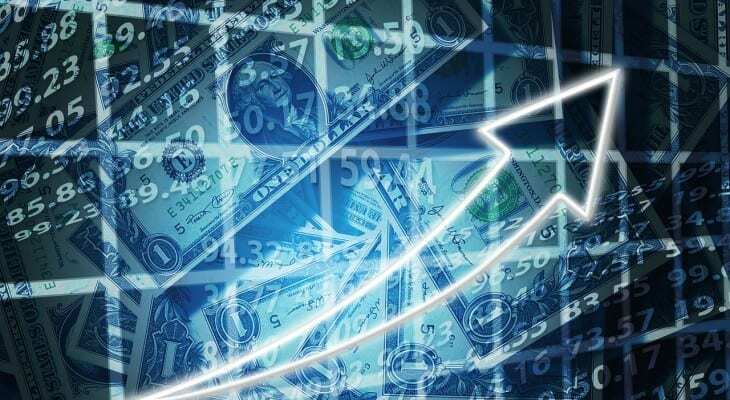 For example, shares of Apollo Commercial Real Estate Finance (ARI), PennantPark Floating Rate Capital (PFLT), New Mountain Finance (NMFC), Blackstone Group LP (BX) and FS Investment (FSIC) climbed in the past week, even though most other dividend-related issues came under strong selling pressure, Perry said. Do not be surprised to see some profit taking in the bond market, given the jump in yields since the Nov. 8 election, Perry advised. On a long-term basis, global bond markets likely will show upward pressure on yields, with a “steepening” of the yield curve, Fitzsimmons said. Market and geopolitical volatility could cause central banks, including the Federal Reserve, to at least temporarily slow their path toward tightening, Fitzsimmons said. “When faced with volatility, central banks tend to kick the ball further into the long grass,” Fitzsimmons said. Even though the currently low long-term interest rates seem destined to climb, short-term trading opportunities remain available to profit, Perry said. Paul Dykewicz is the editorial director of Eagle Financial Publications, editor of Stock Investor, a columnist for Townhall and Townhall Finance, a commentator and the author of an inspirational book, “Holy Smokes! Golden Guidance from Notre Dame’s Championship Chaplain,” with a Foreword by legendary football coach Lou Holtz. Visit Paul’s website at www.holysmokesbook.com and follow him on Twitter @PaulDykewicz.